Julia Spencer-Fleming: One of the great pleasures of parenthood is seeing your kids grow and blossom as they enter into adulthood. When you look at their tiny faces in childhood, you try hard to see the future. Dancer? Financier? Psychologist? Newspaper columnist? I'm rather ridiculously pleased to say that last refers to my oldest daughter, Victoria Hugo-Vidal (known to all on JRW as The Smithie.) Victoria is the newest and youngest columnist at the state's largest and most widely-circulated newspaper, the Portland Press-Herald. In exchange for a delicious meal of German Potato Salad Casserole, she has agreed to be interviewed about the first four months of what I hope will be an illustrious writing career. JSF: How did you get started as a columnist? Were you writing professionally before the Portland Press Herald? 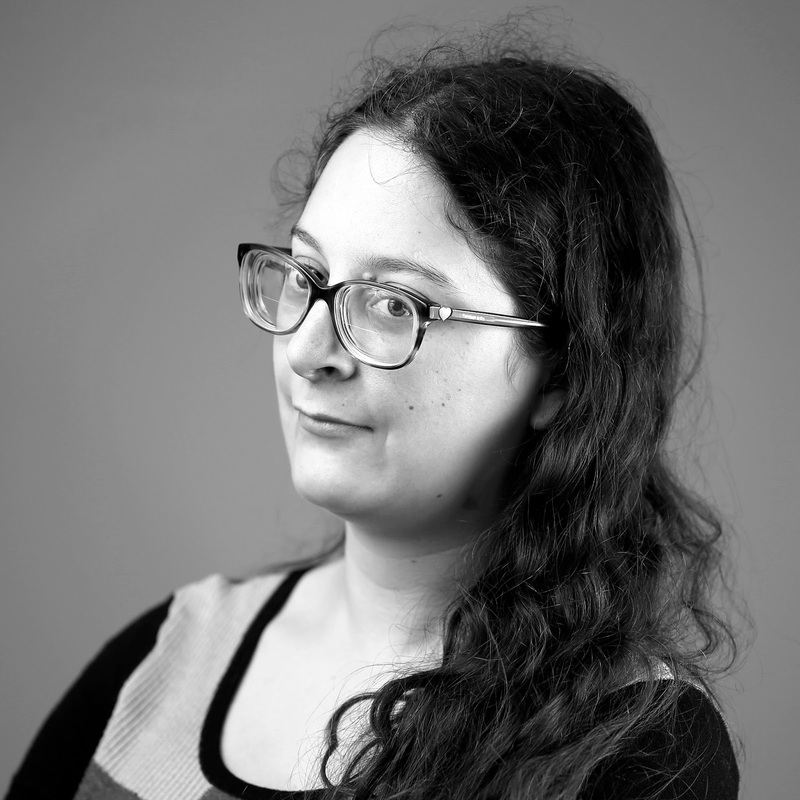 VHV: I got started at the Press Herald through stubbornness and a deathbed promise. I wouldn’t stop sending in letters to the editor and one got a lot of views and started a lot of conversations online. (It was about millennials, and EVERYONE has an opinion about millennials. Everyone and their mother.) It was declared ‘letter of the month,’ I was invited to the newspaper’s podcast, and apparently the editorial board decided the oldest state in the nation needed a youthful voice in circulation….and I do have a loud voice. As for the deathbed promise factor: I have been unable to confirm it either way, but the senior editor of the paper is a friend of my family’s, and he visited my father in hospice. He hasn’t spoken of their meeting, but knowing my father, he guilt-tripped the editor into giving my talent a chance. (It’s hard to say no to a terminal cancer patient.) That’s my dad for you. Always looking out for his lovely and talented wife and daughter. How do you decide your topics? Do you have a particular brief as a columnist? I was hired on to bring a millennial perspective, so I try to lean towards topics that are important to us youths or columns explaining things to old people (my first column was explaining Tinder). Mostly, my goal is to make my readers smile, and to bring a new perspective into their lives - to think outside their box, if you will. I’ve taken on some serious topics, like racism and gun violence, but I’ve also written about my grandparents’ romance and about all the shenanigans my cat has gotten into. I have a running note on my computer that says “column ideas.” I add to it when I get one. Right now, among others, there is “why millennials like socialism,” “that time I accidentally won a medal at the state championship track meet,” and “Ice Storm of 98.” Stay tuned every other Saturday! What’s your writing and editing process like? I usually bang out a draft on my lunch break at work (I do have a real job) and then edit when I get home. Because I’m just writing my thoughts, and don’t have to worry about things like “plot” or “characters,” and because I have an awful lot of thoughts, it tends to get done pretty quickly. Then I send it into my editor to make sure it passes muster and won’t make too many readers clutch their pearls. What are the best things/worst things about being a columnist for a large regional paper? The best thing is getting to connect with people from all around Maine. I get a lot of emails from people who say I remind them of their child or grandchild; or that they have hope for my generation. 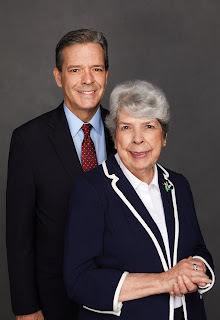 I love being able to distract people from the usual partisan doom and gloom of the editorial pages and give the 700 words of me and my mother attempting to buy a car instead. And due to my mother, I had a built-in fanbase the day I started. I have an army of murder-mystery-loving grandmas behind me. The worst part is that my dad isn’t here to brag to all his co-workers about me. I know he would buy stacks of every paper my column was in. I am also scared of being recognized in a Dunkin Donuts before I’ve brushed my hair and made myself presentable for the day. Can you share some of the more interesting reader mail you’ve gotten? Most of the emails I get are from amazing people who have wonderful, thoughtful things to say. It’s a big boost to my ego. Because my title is “The Maine Millennial,” 80% of emails to me begin with a person telling me their age (which is usually over 60, because that’s newspaper’s demographics) and then saying I remind them of their grandchildren, which is the ultimate compliment. I also had a reader email me last week and he told me he was a liberal republican. Truly, Maine is the way life should be. columnist? Do you remember your first exciting job? at TheMaineMillennial at gmail dot com. Julia Spencer-Fleming: For most of the USA, this time of year is known as OhGodWillWinterEverEnd, but for those of us following liturgical calendars, it's also Lent, the forty days (and nights) between Ash Wednesday and Easter. I am everymore a dessert person. I like dessert after dinner. Hell, I like dessert after lunch. I've substituted my usual candy/cookies/pastries with oranges, unsalted almonds and raisins. I'm waiting to experience that thing over-eager diet writers describe, where just a bite of yummy fruit is more than sweet enough for me! So far, this has not happened. I don't care how deprived I am, a handful of dried fruit tastes nowhere near as good as a Reese's Peanut Butter Cup. Like, if they were men, the raisins would be Steve Mnuchin and the peanut butter cup would be Dwayne "The Rock" Johnson. The only reason I made it through the first week of Lent without cheating was the fact I cleared the fridge and pantry of anything sweet. (We still have three-month old candy canes in the cupboard, but even I take a hard pass on those.) The real challenge came a couple days ago, when I had dinner with our own Brenda Buchanan and her wife Diane. Like an idiot, I volunteered to make dessert. I managed to bake brownies, take them to Brenda's house, and bring back one for Youngest at the end of the evening, all without tasting them myself. However, I confess to you, my brothers and sisters, that I licked the bowl. Not in a dignified way with the scraper, either. I got right in there. I had brownie batter on my cheek. Will I make it through to Easter? Possibly. Will I have developed healthy new habits and learn to prefer apple slices over Snickers Bars? Not likely. 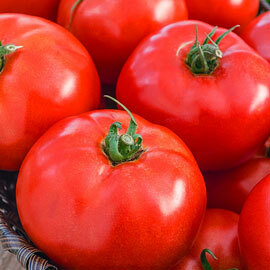 But in the dreary days of February and March, sometimes the struggle is is sufficient unto itself. 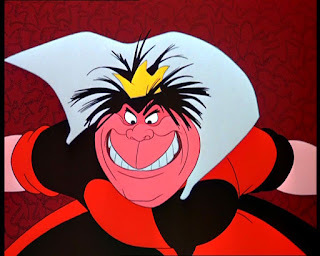 So I took a quiz titled "Everyone Has a Disney Villain Inside Them." My inner villain? 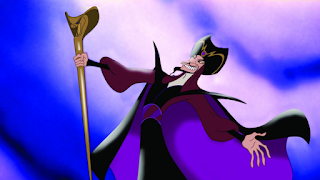 Jafar, the overly-ambitious Grand Vizier in ALADDIN. Now, I don't have a razor-sharp beard, but the more I thought about it, the more I could identify with the man. Jafar is a keenly intelligent guy surrounded by idiots, wide-eyed teen idealists and a parrot who talks like Gilbert Godfried. No wonder he cracked and went for evil magic. I can totally empathize - there's nothing that pushes me past the red line like dealing with people who Just. Don't. Get. It. 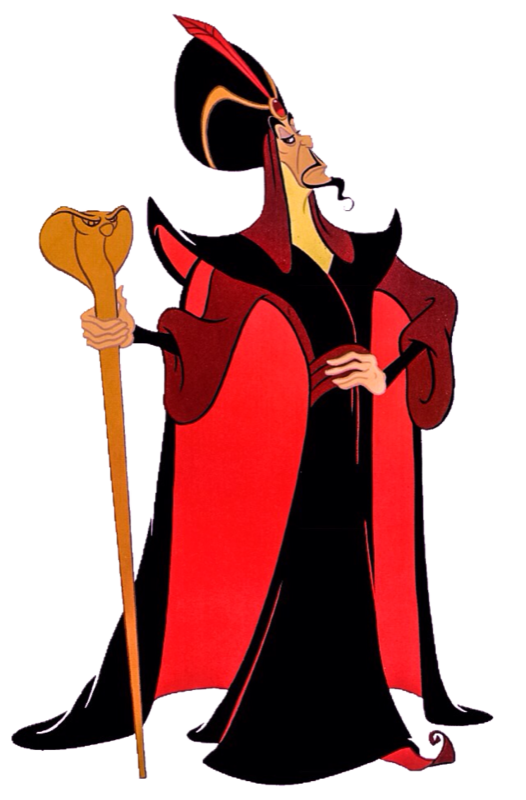 Not to mention you know Jafar has been keeping Agrabah running all these years (despite his difficulty hiring competent security guards.) And does anyone recognize his ceaseless labor? No. He gets an occasional "Oh, thanks, Mom" when dinner is on the table. (Not to compare my family to the sultan and people of Agrabah, but they're totally the sultan and people of Agrabah.) One month without Jafar and the entire place would fall apart. There would be no internet, no phone service, and thieving children would be running wild through the streets. You think Aladdin reads? Nuh-uh. Jasmine, I'm picturing with sad YA novels where the heroine dies and a subscription to CATSTER magazine. Poor Jafar. Like me, he'd be perfectly happy if only the people around him would recognize his brilliance and put him in charge (for their own good.) Also, he's a very snappy dresser. Most villains are. How about you, Reds? Do you have a Disney villain inside you? Or maybe someone from the world of literature? Lord Voldemort? Iago? "You got: Jafar. An evil sorcerer with the badass clothes to match. You’re definitely Jafar." Okay, fine, but I never saw ALADDIN. So, um, is he really bad-bad, or just, you know, annoyed? Misunderstood? Overworked? Under too much pressure? This is understandable, totally. I mean--if everyone would just do what I say, this whole thing would be SO much easier and more efficient and successful. You'd all be HAPPIER, trust me. What villain would I pick out of books? Ah, maybe.....Miranda Priestly in Devil Wears Prada? She's understandable, too. Plus, the clothes. I'm really really trying to think what villain I have in me. Claire Underwood? AH. Maybe not. This is so difficult, and I guess that's a good thing! LUCY BURDETTE: I thought we weren't supposed to take those quizzes because then the Russians can hack our computers or take over our social media or something? 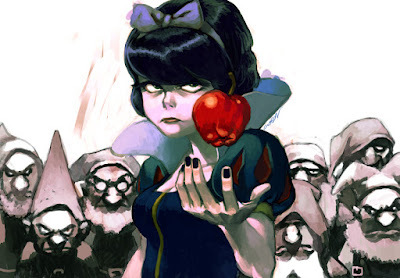 Anyway, I'm going to go with the evil queen in Snow White, and that is because of the poisoned apple. What else could a writer of culinary mysteries possibly be? But on a serious note, I find villains very very hard, because the motivation for murder has to be so intensely felt, or the act makes no sense at all. Right? HALLIE EPHRON: Well, I come up Ursula from The Little Mermaid, the evil octopus lady slash sea witch who persuades our girl to give up her voice to become human. In the fairy tale by Andersen, there's no happy ending. 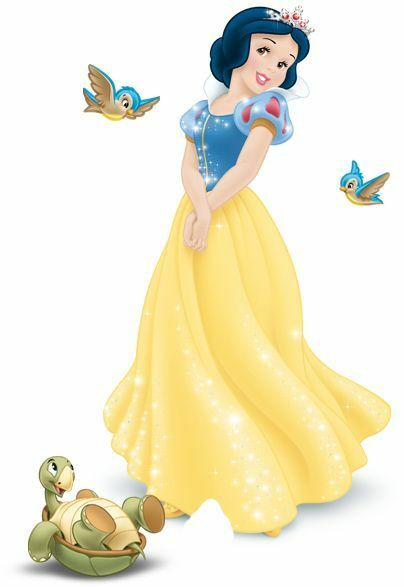 I've seen the Disney movie, and I have a granddaughter who is seriously into mermaids. But I confess don't remember Ursula. She's purple. 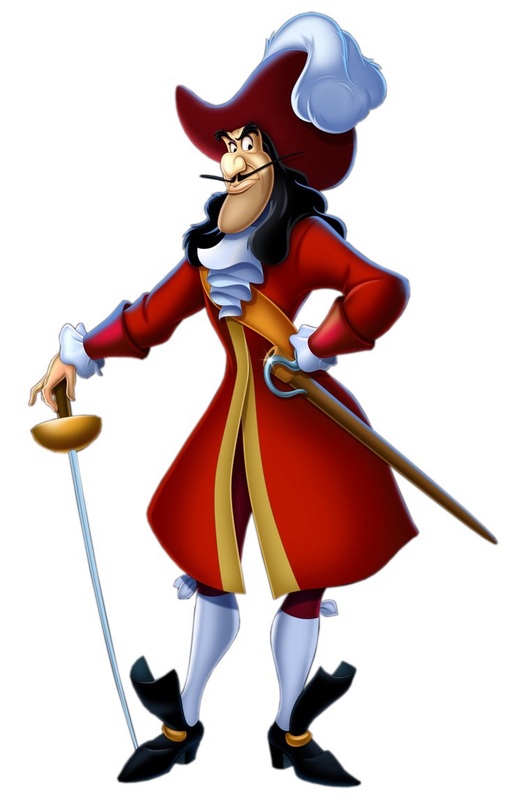 I think I'd rather be Captain Hook. The clothes! The swagger! And I do love to order people about and get to do it so little these days. INGRID THOFT: Hallie, I knew we were kindred spirits! 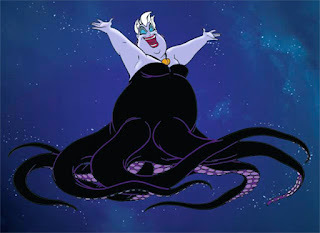 I’m an Ursula, too, and this makes sense given my love of the ocean. Maybe some people see her as power-hungry and manipulative, but there’s another way to look at her: She’s just an ambitious business woman making her way in the treacherous depths of the ocean. I would take Ursula any day over Ariel, the heroine of “The Little Mermaid.” Ursula’s got flair, and her edge makes her interesting. Not to mention her story arc, which is a battle for reign of the sea, not a quest for Prince Charming. 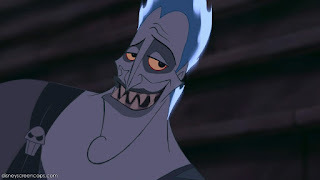 JENN McKINLAY: I got Hades! What? The description: You relate most to a villain who's evil (YIKES! ), but also has a good sense of humour (Oh, well, now it's coming into focus). After all, what's the point of being vengeful if you can't have a little fun? I had to look up what Disney film Hades was in because I didn't remember him. Turns out he's in Hercules, which I've never seen, so now I have a Disney film to watch to see if I like my evil alter ego or not. DEBORAH CROMBIE: I got the QUEEN OF HEARTS. Which makes total sense, because I've been having a lot of "Off with their heads!!!" moments lately. And it's totally funny, because I am pathologically non-confrontational. So this must be the inner me coming out. And the queen, after all, is not really all that BAD. (Don't worry about those few headless courtiers...) She just wants people to listen to her, and follow the rules. I totally get it. 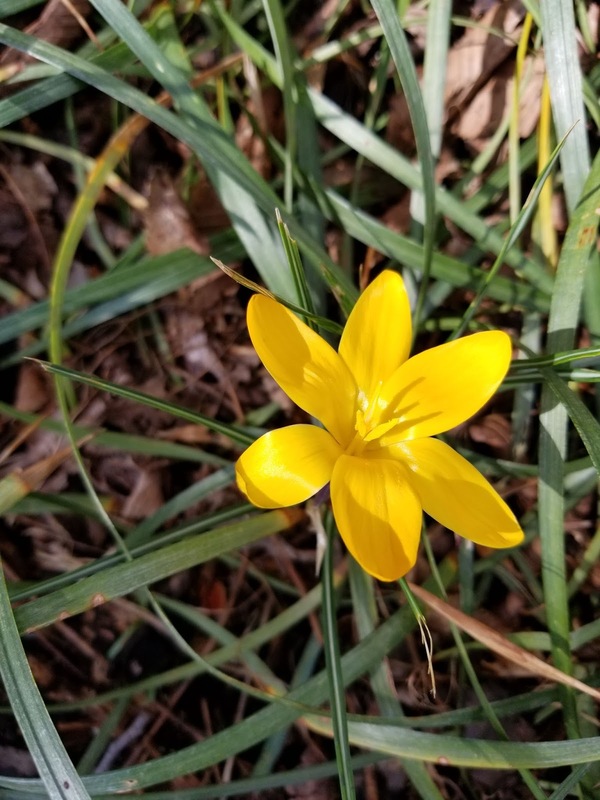 DEBORAH CROMBIE: LAST Sunday, it was 70 degrees here on the north Texas prairie, the sun was shining, and the birds were singing like mad. I found this in my garden. And this--the elms had burst into bud literally overnight. I walked all around the garden, checking on things. The spirea had the faintest hint of green, there were buds on the oak leaf hydrangeas. And all my roses, including the new ones I'd planted last year to replace those lost to rose rosette virus--had tiny leaf buds. 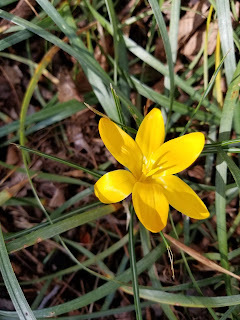 It's been a long, cold winter here, with temperatures way below our usual, and I was afraid many things wouldn't have survived. I lost all the things I usually manage to overwinter on my deck and porch, too. But, whoopie, SPRING, and new life! 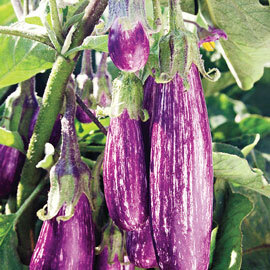 Fantasies of gardening took flight! And, then... came Monday. The sky to the west turned the color of an old bruise, the temperature fell, and the rains came. And came, and came, and came. 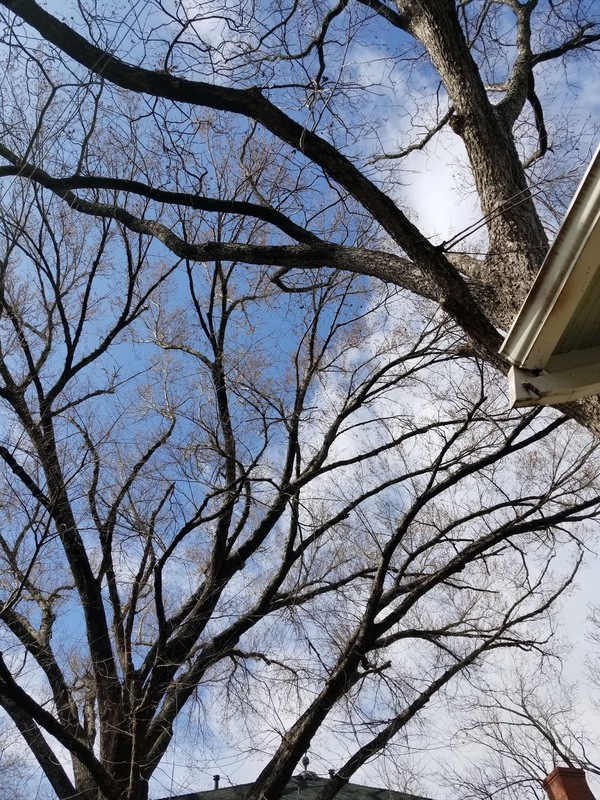 But, today, the sun is shining again, the temperature is reputedly getting back up to 60, and there is no rain in the forecast for TWO days! But hope springs eternal (excuse the pun) and I think there is something embedded in our human nature that makes us want to grow things with the change of season. What about you, REDS and readers? 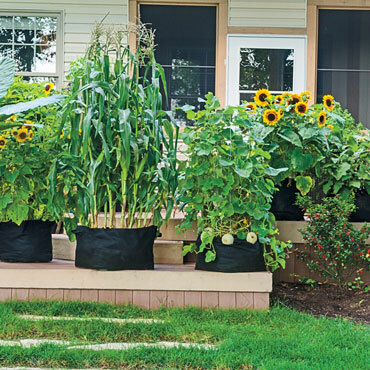 Any dreams of tomatoes and peppers and squash, or even a pot of herbs? DEBORAH CROMBIE: Well, the 2018 Olympics are almost over. Did you watch? What did you love? Who could not like the Nigerian and Jamaica women's bobsled teams? Or the crazy slope-style snowboarders? Or the curling???? (Can you believe curling is a sport??) And the skeleton competitors are certifiable, but so much fun to watch. Did you have a favorite event? A favorite skater? And--this one is really loaded--what about Johnny and Tara? Love them or hate them?? On favorite skating events, I'm torn between the Men's and the Ice Dancing. Although, of course I love the Pairs and the Women's events, but I'm forcing myself to choose. Favorite performances? I have to say I absolutely adored Adam Rippon. 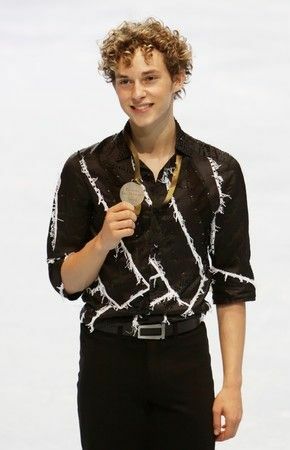 What a triumph for him, to skate so perfectly after being left off the team in 2014. I can't use current photos because of copyright issues, but here's one I found of Adam in 2009. How adorable is that? I wish he'd kept the curly hair! I loved the French Pairs couple, and I thought Tessa Virtue and Scott Moir were just breath-taking in the Ice Dancing. Oh, and the Shibutanis are so cute and talented. I can see a definite lean towards the older skaters in my preferences, and I will admit that I'm more impressed by artistry than spectacular jumps. That said, Nathan Chen gets the Comeback Kid award, and I can't wait to see him in four years! 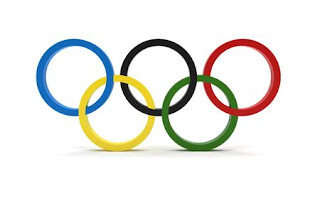 Are you glad the Olympics are over? Or feeling a little sad that we have to wait four years for another Winter Games.... Here's to 2022! 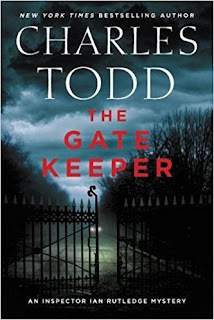 DEBORAH CROMBIE: It's that time of year--as in time for a new Rutledge novel from CHARLES TODD!! I have been a huge fan since A TEST OF WILLS, the first book in the series featuring Scotland Yard Inspector Ian Rutledge, a WWI veteran suffering from shell shock, came out to critical acclaim in 1996. Since then I've been fortunate to get to know both Charles and Caroline, the mother/son team who write as "Charles Todd." Isn't this a fab cover? Caroline and I got to chat about THE GATEKEEPER here in Dallas a couple of weeks ago. We had a great time and I could just kick myself for not getting a photo! But here is Caroline to share some of the things we talked about with you! 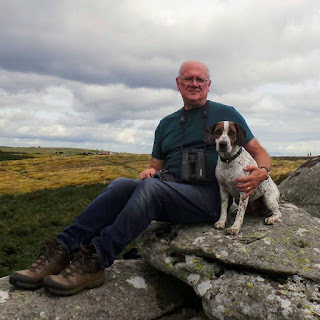 --Did you ever imagine, when you and Charles came up with the idea for A Test of Wills, that you would be writing 20 books (so far) about Ian Rutledge and Hamish? That's just an amazing achievement. We didn’t even think the first book was going to sell—when it did, we were given only a one book contract! But St. Martin’s realized that very quickly and renewed it for two more as soon as TEST got so much attention. We’re just very glad Rutledge had a chance to do more with his career at the Yard, and we could follow it with him. --And yet time has moved very slowly in the series. Did you make that decision early on? We felt that the PTSD, the shell shock, was something we wanted to explore, and the only way to do that was to shorten the time period. We didn’t want to let a year pass and readers learn of what has happened in his secret life as a side bar in the mystery. Shell shock defines Rutledge, and it’s how he deals with the shame of it and with the voice in his head—Hamish—that makes him what he is. And so we’ve killed off a lot of English victims to achieve this, but I think it has been worth it. --This case is different from any Rutledge has ever investigated in the series. Can you tell us why? Because of the state of the English roads in this time frame, Rutledge always arrives on the scene a day—two days—after the murder, when the trail is cold and the local people have trampled all over the evidence that might have been there. We thought it would be fascinating to see what would happen if he got there just as the crime was committed. Not in time to see who did it, of course, but while the blood, so to speak, is still fresh and he can begin straightaway to look for clues. And we liked what that did to the local man who had his own reasons not wanting Rutledge there. --A rare book about apples figures in the case. Is it based on a real book? Is there a photo? How I wish there was a photo. Years ago someone showed me a book that was fascinating. Plates of hand drawn and painted apples that no longer are grown but were popular in medieval times. Just absolutely lovely workmanship. It obviously impressed me, because I can still remember the various plates. Charles had to take my word for them, but he liked the idea. This is what’s neat about working together. We have two imaginations to draw on. --When you were here in Dallas a couple of weeks ago, you talked about this book exploring the dynamics of three different families--can you tell us more? We were interested in how families work. There are several in the book, each with a different take on what’s important. For example, one woman has more or less forced her daughter into accepting an engagement with an abusive man, because he’s such a good catch. Her concerns are more social than motherly. We’re over halfway though the next book, and it’s a cold case that Rutledge—for his sins—is assigned to look into. One that’s been revived and looked at before, with no more luck that when the murder happened. But Rutledge has one advantage. A bit of gossip, shall we say, that makes him look deeper into the case than his superiors anticipated. It’s a chase story in a way. As he begins to search, building one piece of evidence at a time, he’s not sure where this is taking him. And at this stage, neither do we! So we try to keep writing in between promoting THE GATE KEEPER. Wentworth was well-liked, yet his bitter family paint a malevolent portrait, calling him a murderer. But who did Wentworth kill? Is his death retribution? Or has his companion lied? Wolf Pit, his village, has a notorious history: in Medieval times, the last wolf in England was killed there. When a second suspicious death occurs, the evidence suggests that a dangerous predator is on the loose, and that death is closer than Rutledge knows. Caroline and Charles will be stopping in to chat with us on JRW today, so get your questions ready! DEBORAH CROMBIE: For me, one of the biggest treats of a lifetime of reading is discovering a new series you really, really love and reading all the books straight through. Last year my friend recommended a novel called AN ACCIDENTAL DEATH by Peter Grainger. 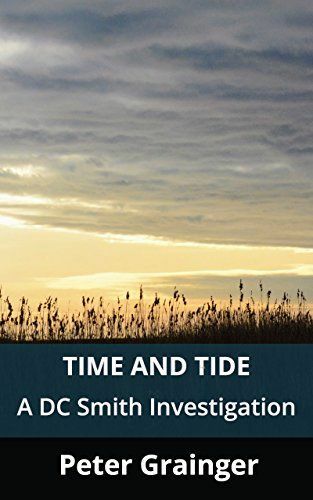 It's the first of a series featuring Norfolk Detective Sergeant DC Smith, and I liked it so much I immediately read all seven books. DC (short for David Conrad) is a former Detective Chief Inspector in the fictional Norfolk city of King's Lake, and has chosen a demotion in order to do real police work rather than management. DC is such an original voice, and the books are complex explorations of character and relationships. The series is now at the top of my list of British procedurals, and that's saying a lot. But there's more! Peter has another series, set in Cornwall, featuring widowed, middle-aged Emily Willows and her much younger neighbor, mysterious former London cop Summer Lane. In LANE: A CASE FOR WILLOWS AND LANE, Emily is taken hostage by thugs involved in a case her detective son is investigating, and the two women embark on a terrifying escape. I dare anyone to put this action-packed book down! 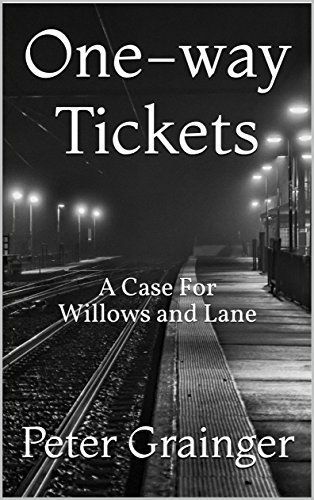 And now there's a new Willows and Lane, ONE-WAY TICKETS, in which we learn more about Lane's intriguing past. When a local man, a veteran of the war in Afghanistan, goes missing, his parents have good reason to be concerned. Emily Willows is a friend of the family and says that she knows just the person to find him – and, as Summer Lane soon points out, the fact that this also fits in with Emily’s plan to set up her very own detective agency is surely just a fortuitous coincidence. But it isn’t long before the former detective inspector finds herself on a train heading back to London, and back into situations that she thought she had left behind. Some old acquaintances are renewed and some difficult memories must be confronted as Lane searches for the missing soldier and discovers the shocking truth about what happened to him five years earlier. Here's Peter to tell us more about DC and Willows and Lane! Can you tell us a bit about your background, and how you started writing? There is quite a lot of background by now, so I won’t go into too much detail. I think I was always a reader and English was my thing at school. I ended up doing a degree in English Literature and Philosophy and then discovered that the author B S Johnson was right in saying that this is a really bad thing for prospective writers to have done. I spent the next twenty years trying to stop putting every word I wrote under a microscope. Mostly I wrote poetry from my teens and into my thirties – prose always seemed more difficult. Then it became short stories. I sent things away sometimes but no-one ever accepted anything. In the meantime, I had become a teacher of English as well, but this actually helped my writing, I think. In explaining to young people the basics of good writing, one really has to go back to the beginning and this makes you look again at your own work. But I didn’t get serious about writing novels until I was into my fifties. You have self-published both series. Can you tell us why you decided to go that route? Both series are among the best I've read in crime fiction in a long time. Thank you. For the answer to the question, see above! I’ve had the usual politely discouraging letters from literary agents, though not as many as Scott Fitzgerald, who is supposed to have papered a room with them. When ‘An Accidental Death’ did better as an ebook than I had ever hoped, I tried it again with some agents but no-one took it up. Since then, to be honest, I haven’t bothered them, other than a recent attempt to get some interest in the series for television; this was because several readers had said they would like to see the books in that format, so I said I would try. The result was the same! You have great female characters, both the secondary characters in the DC Smith series, and the two female protagonists in Willows and Lane. Did you have any qualms about writing two female leads? Yes, lots, but one of the novels I epublished under the name Robert Partridge, ‘The Rink’, had been written from a woman’s perspective, and it was surprisingly well received; I had some emails accusing me of being a woman using a man’s nom de plume! I wanted to write something quite different from the DC Smith novels, having produced six in a row, so that was an obvious thing to try. I’m a great believer in the French saying vive la difference, but I’m not sure that in the things that really matter men and woman are as far apart as some seem to think. The DC books are set in Norfolk (I've assumed from the description that King's Lake is King's Lynn) and the two Willows and Lane books in Cornwall and London. Do you have a particular affinity for those settings? Yes, again. I have lived in all three of them, and after character, getting the setting right is the next most important thing for me when I’m writing. I don’t like description for its own sake when I’m reading a novel – it has to be made significant in some way or it’s just padding. Going back to my academic days, I suppose I’m talking about the pathetic fallacy here. North Norfolk has a beauty and an atmosphere all its own, and there are so many opportunities to make those reflect the emotions and thoughts of the characters. Cornwall is another magical county and I’m already booked up to go there again this summer. One day a sharp-eyed reader will contact me and say that they know where Summer Lane’s name came from! Your procedural details in both series seem so spot on. Do you have someone you consult? It’s a no this time. I am a fan of top-notch crime series on television and have been for years, and sometimes I will make a note of anything that might be useful as far as procedure is concerned. I also get ideas from some of the fly-on-the-wall series about police work. I also read about investigations into actual crimes; some of these can really open your eyes as to what the detectives have to confront. I’ve had three former murder squad detectives write to me saying that they like Smith and that the stories are close to the mark – that has been very encouraging! Were you influenced by any particular writers? I will confess immediately that I have not read a huge number of crime writers. When I began to think about moving my writing into a specific genre – ie crime fiction – I did some reading first. Well, quite a lot of reading. I already knew and liked some of Colin Dexter’s Morse novels – having loved the television adaptation – and for the same reason I looked at one or two of the Frost novels. I have certainly learned things from P D James and Ruth Rendell. But I don’t think it would be wise to read a great deal more; there is a danger that one becomes hemmed in by the expectations and rules of the genre, whereas readers are often looking for something that’s a little bit outside the box – but not too much! Beyond that, writers that I admire and re-read are Anita Brookner, Graham Greene and the incomparable Henry James. Can readers look forward to more books in both series? That is certainly the plan. 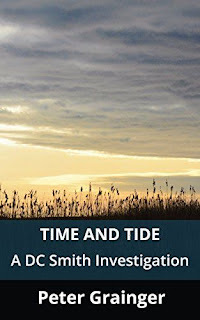 Lots of readers assumed that Smith retired at the end of ‘Time and Tide’ but there are some important and unresolved matters to be taken care of, and I am currently listening to them all again, thanks to Gildart Jackson’s excellent recordings, and at the same time puzzling out how those matters can be resolved! I hope to have the eighth story out later this year. And Emily Willows hardly got a word in in ‘One-way Tickets’ – she isn’t the sort to let things rest there! DEBS: You can find Peter on his Facebook page, and both the DC books and Willows and Lane are available on Kindle and Kindle Unlimited. Any of the books can certainly be read as a stand-alone, but, personally, since they are all available as e-books, I'd highly recommend reading them in order. Why do so many American and Canadian readers like crime fiction set in or from the UK? The winners of Leslie Wheeler's Rattlesnake Hill are Gigi Norwood and Rick Robinson. Please email lesliewheeler at comcast dot net to claim your books!